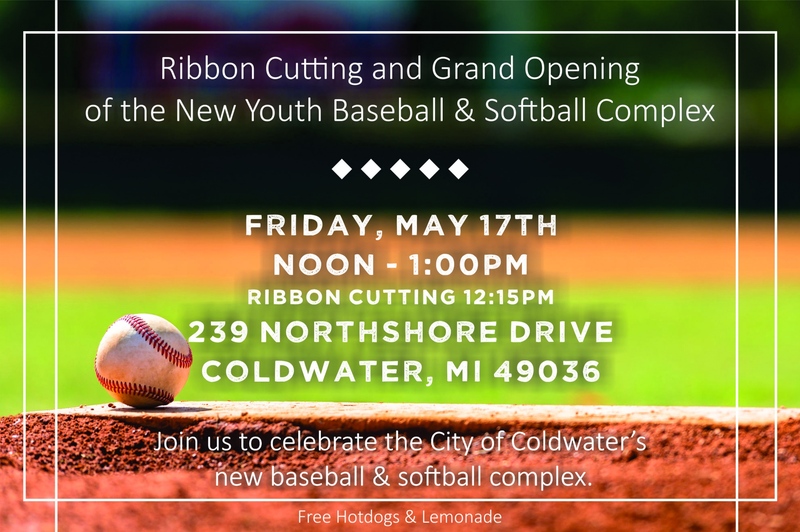 Description: Join us to celebrate the City of Coldwater's new baseball and softball complex on May 17th at 12:00pm. Free hotdogs and lemonade. Ribbon cutting will be held at 12:15pm.